JO/XCEL Bring Home 31 New Individual Titles This Weekend after a 114.35 Score! The NGTC Teams were on the road this past weekend. 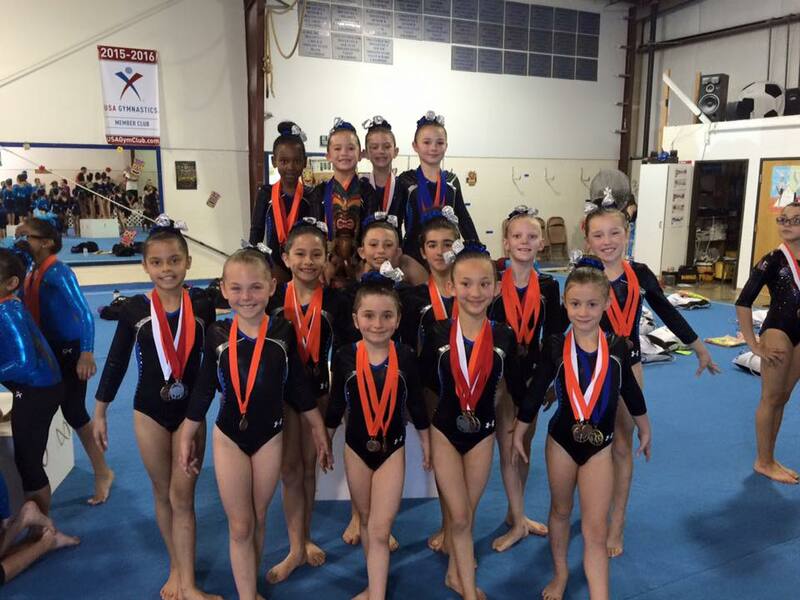 The Level 1 & 2 Teams competed in Hillsboro, OR at Flightschool Gymnastics. Level 2's continued their dominance with an impressive, and NGTC Team scoring record 114.35, outpacing 2nd place by nearly 4 full-points. Nice work Coach Sarah! Level 1's also had a very good meet. This was the first ever Level 1 competition for our youngest team girls, and they made everyone proud! With just 3 girls, the minimum needed for a team score, these up & comers posted a 105.20 team score, good enough for 2nd place to the much larger home team, which scored only 106. Nice going ladies! Coach Allyson should be quite proud of all her teams! On Sunday, our Optionals and Xcel teams competed in the Vega Challenge at Battleground High School. Renee had an excellent showing on Beam, while Allee had a very solid all-around meet. Xcel posted first place all-arounds and numerous 2nd place finishes. Good work Coach EJ! NGTC is proud to announce that two of our current coaches have been selected to coach at the 2016 Oregon Gymnastics Boot Camp. Allyson Allen and Marci McIntyre have both accepted the invitation to be clinicians at the official USAG sanctioned event held this coming July in Eugene, Oregon. "We are proud of the hard work and determination that all our coaches show on a daily basis" stated Eric Stinson, Director of Gymnastics at NGTC. "The fact that Allyson & Marci have received some of the recognition they so deserve is a testament to the commitment to excellence they demonstrate regularly." Only eight coaches from around the State of Oregon were selected to coach at this years event. The event is open to just 64 compulsory level gymnasts in each of two sessions that wish to jumpstart their gymnastics prior to the Fall, 2016 Season. It gives the athletes another set of eyes on their skills that may say/do things in a different manner than they are used to getting from her own coach. Allyson Allen is the Team Director at NGTC, and is the Head Compulsory Coach. She has been at NGTC since Spring, 2014. Marci McIntyre is the Asst. Level 4 Coach at NGTC. She started at NGTC this week after 20+ years at another local gym, including the last 4-consecutive Level-3 State Championships. Northwest Gymnastics Training Center is proud of our commitment to excellence. Founded in 2008, NGTC offers both recreational and team gymnastics training for girls, and recreational training for boys. NGTC offers specialized classes and a gym dedicated to our preschool aged gymnasts. Call, email or stop by our office 9am-8pm daily to begin your gymnastics journey with one of the premiere gyms in the Northwest! Northwest Gymnastics Training Center is proud to announce the addition on another team coach. Marci McIntyre is joining NGTC as the Coach–Level 4 Compulsory starting January 4, 2016. Marci has a long and distinguished career in gymnastics. The past 26-years, Marci has been at just one-gym. She can count many state and event titles to her credit as she has been the Head Compulsory Coach for many of those years. Most recently, Marci’s team, co-coached by another newcomer to NGTC starting January, Marjorie Stanwood, won the JO Level 3 Team State Title for the 4th consecutive year, beating 2nd place NGTC by the smallest margin possible, .025 points. "Congratulations are due Coach and Team Director Allyson Allen for continuing to assemble a winning combination of outstanding coaches. added Stinson. We have to be committed to excellence ourselves or we have no right to expect our athletes to do the same. These coaches, and our current staff and coaches have the attitude and commitment required to succeed, and more importantly, help all our athletes succeed in life!" Please stay tuned for an announced time for a meet and greet when all will have a chance to meet and ask questions of our new team coaches. NGTC is proud to announce the addition of Marjorie Stanwood to our team coaching staff. Marjorie is a graduate of David Douglas HS and OSU. Having earned a Bachelors of Science in Education and Behavioral Sciences, she has taught gymnastics for over 10 years, including preschool aged children through the Girl's Junior Olympic Team levels. Recently, Marjorie managed both the preschool and recreational programs at another gym, and more recently was a compulsory team coach the past 6 years. A former gymnast, Marjorie also competed in high school in track and field and cheer-leading. Outside of the gym she enjoys snowboarding, hiking, camping and spending time with her daughter and husband. Marjorie will begin work at NGTC on January 4th. Her primary duties will be the Assistant Coach Compulsory Level 3 Team. A meet and greet will be held prior to practice on that day to allow parents and gymnasts a chance to get to know Marjorie and other new additions to the NGTC Family! Details on this and other events can be found in the lobby of either gym, or by calling the office at (503) 492-4115. Please join us in welcoming Marjorie to our team! We are proud to announce 10 new state championship titles from this weekend's 2015 Oregon State Compulsory Championships. All totalled, NGTC earned a very impressive total of 28 TOP-3 Finishes at this years championship! Congratulations to all who completed and made NGTC Proud! We are extremely proud of the progress each of our hundreds of students is making in gymnastics, coordination, strength, flexibility and confidence. Our Recreational gymnastics program is booming and learning more than ever, which is fueling our Junior Olympic and Xcel Teams! For the 4th time in 5 meets this season, our JO Level 3 Team improved across the board and brought home another first place trophy. It was the teams first visit to Southern Oregon this season. Every NGTC level 3 gymnast scored 9.0 or higher on Vault and recorded many personal bests enroute to a team score of 113.375. Congrats also to our Level 4 Team. At the same meet, they recorded a team best score for the year, and took home the all-around individual title. NGTC's Rachel Hardy captured the crown with 37.00, and individual event titles. Natalie Weed also scored a strong 36.175. Look for more themed open gyms this holiday season! Open Gym'ers are loving the new equipment, slide and games that have become a staple at NGTC Open Gym's. 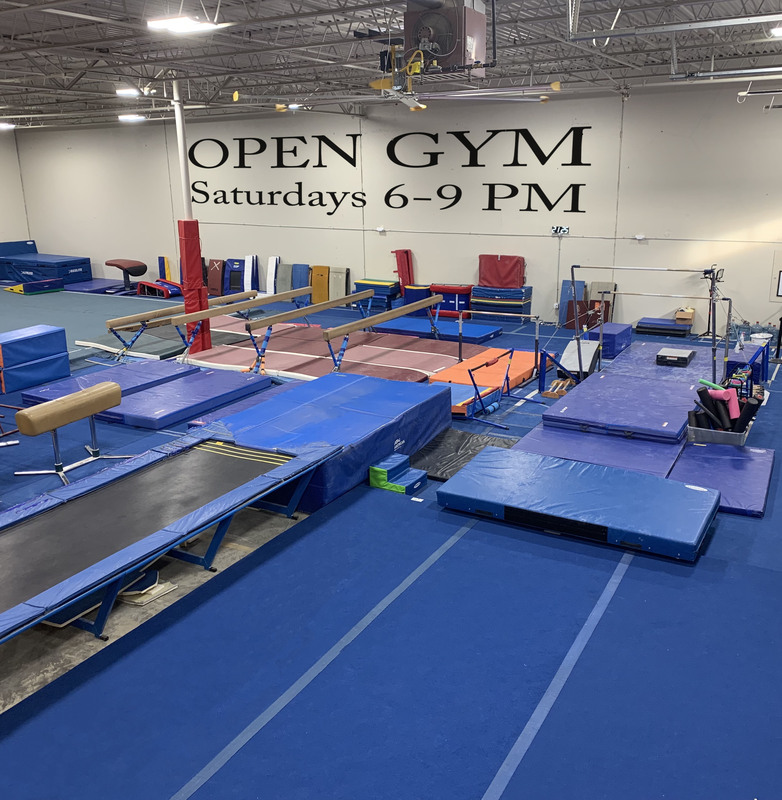 Remember Parent's Night Out Open Gym is open to all NGTC Members and Non-Members, and is every Friday Night from 7-10pm Kid's Night Out Open Gym is the 2nd and 4th Saturday's and runs 5-9pm and includes Pizza! Indoor Play Park Open Gyms also run for an hour Wednesday from 11-Noon, and Saturday's at Noon! For the 3rd time in 4 starts, NGTC Level 3 Team brought home First Place! The Ghostbuster Invitational in Tigard, Oregon was the venue this past weekend. The best teams from Northern Oregon were competing. Fine tuning skills prior to the State Championships just a few short weeks away! Larissa Bonn & Ceanna Cummings brought home individual All-Around Titles, and were supported by a number of strong performances, including 13 scores of 9.0 or higher on vault for NGTC. Stay tuned for more as the girls have one more meet in Roseburg before the State Championships November 20-22 at the Expo Center in Portland. The 2015 Team Try-outs was the largest we’ve ever had! Congratulations to all the gymnasts that worked very hard for the days and weeks leading up this big day! And, while the results aren’t complete quite yet, we can say the coaches were extremely impressed with every single athlete! The girls went through a series of gymnastics “tests” to allow our team coaches and directors to best evaluate each gymnast and determine where she will be most successful. Some of the girls will make it to our Junior Olympic Team. A team that, during one extended period this past season, was nationally ranked based upon our very high team score (113.5+). A few of the other girls will also be invited to join our Xcel program. Xcel, while a big part of the national gymnastics scene, is relatively new to Oregon and only in it’s third season at NGTC. Congratulations again to all the girls that tried-out. Look for more information on team tryouts and other programs such as our upcoming Summer Camps (which, by the way, sold-out last 2-years) and Skills Clinics! Northwest Gymnastics is proud to announce the addition of several new programs and events. Due to the overwhelming popularity of our Friday Night Parents Night Out Open Gym's, we've listened to you and added another great option! Every other Saturday night, drop your kids off and let your kids enjoy Kids Night Out Open Gym (KNO). A little twist on the original, Kids Night Out is truly your kids chance to burn off energy, work on skills, meet new friends and so much more! Plus, we even provide Pizza, drinks and a different movie each time that evey kid has the option of watching all or part of. Our first KNO was last week, Feb. 21 and was met with over 20 kids! The next KNO is Saturday, March 7, 2015. Sign-up early and save $5. Cost is just $20 for pre-registrants, and $25 at the door. 4-hours of professionally supervised fun, pizza and more for less than the cost of a babysitter! Click here for more information! And coming this spring, we are bringing 2-hour Skill Clinics to NGTC. Back-Handspring Clinic; Basic Tumbling Clinic; Bars Clinic; Advanced Tumbling Clinic; and many more! Designed to provide the gymnast with the specialized attention she needs to finally master that skill, learn techniques for teaching herself mastery, strength/ stretching training, our clinics our taught by our Team Coaches and will truly catapult your skills to the next level! Click here for more information! Know a preschool aged girl or boy that might enjoy burning off some energy and learning some great developmental skills? The Pre-School Program at NGTC has exploded! Call, email or stop by the office for our latest offer and newest class times. Thank you to all our families for making Northwest Gymnastics a great destination for kids!